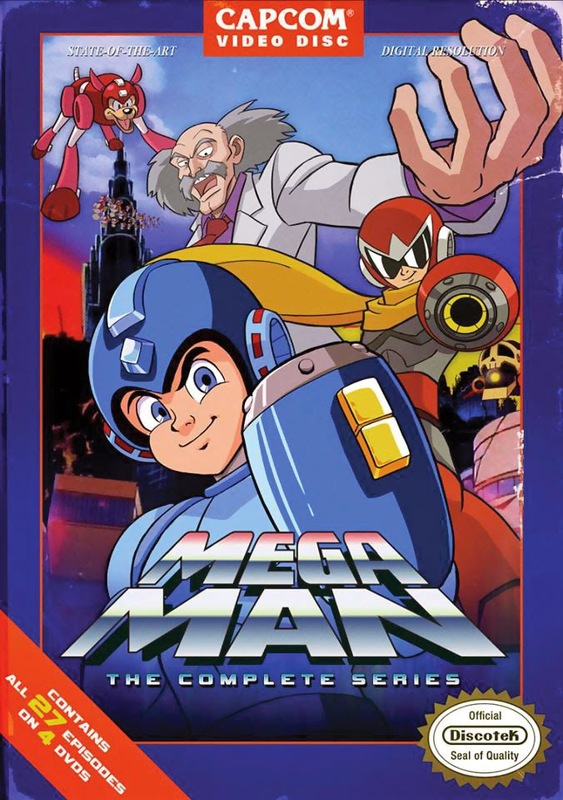 As previously reported, Discotek Media are bringing the delightfully campy Ruby-Spears Mega Man cartoon back to DVD. The new set features all 27 episodes in a single package, wrapped in an absolutely radically box art. Just look at it; that's deliberate wear-and-tear, people. Today, it's up for preorder from Rightstuf. Expected to launch on September 30th, the whole kit and kaboodle will run you $29.99 (normally $49.95). So if you've been hankering on checking out the show, or just want to replace those old sets, you're in luck! Also, I do believe a giveaway contest is in order... we shall see! umm I brought this ages ago as the normal release soo anything different about this other then the box art? I love this show in all it's cheesy glory! The box art looks great, too! I hate this cheesy show. Yucky!